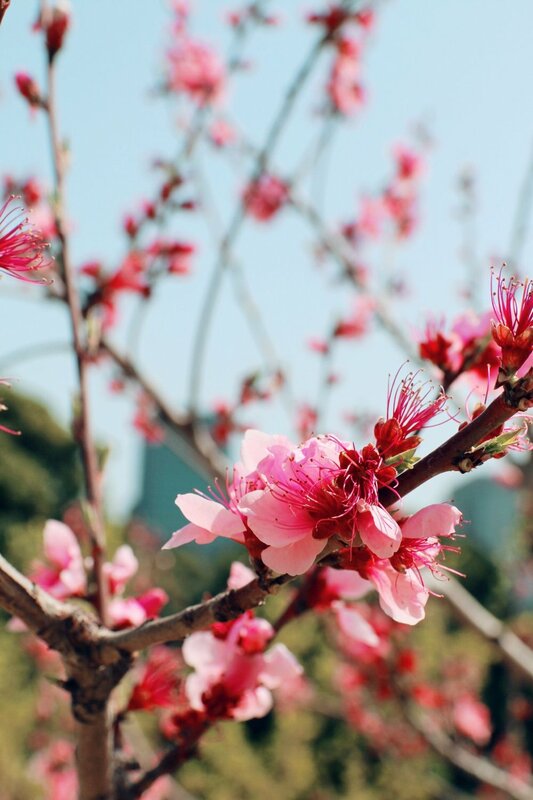 If you travel to Japan during Sakura (=cherry blossom season), which you absolutely should, you will want to know the best spots to enjoy the cherry trees in full bloom. First of all: Sakura is everywhere. Tokyo has an incredible amount of cherry trees, and seeing them all in full bloom is such a beautiful and impressive sight. 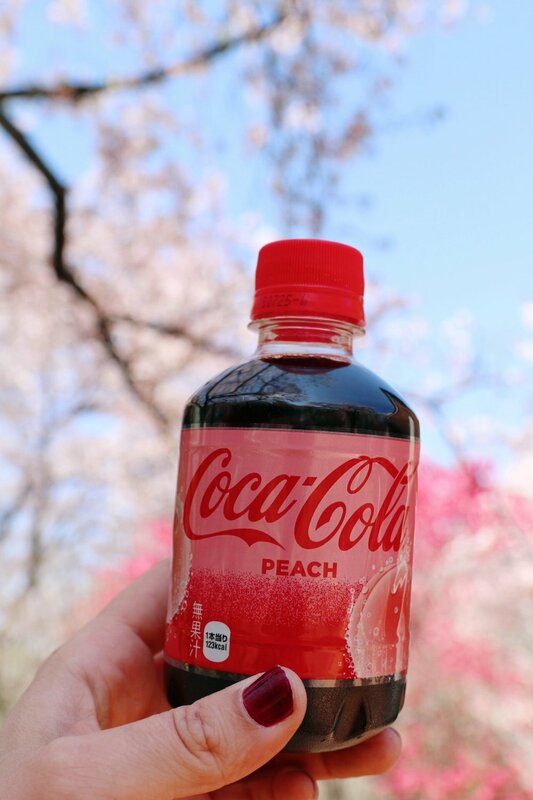 The whole city is in Sakura mood, there are Sakura festivals, parties, sakura ice cream, Starbucks drinks, dinners... you name it - sakura is on it. And you can not blame them! 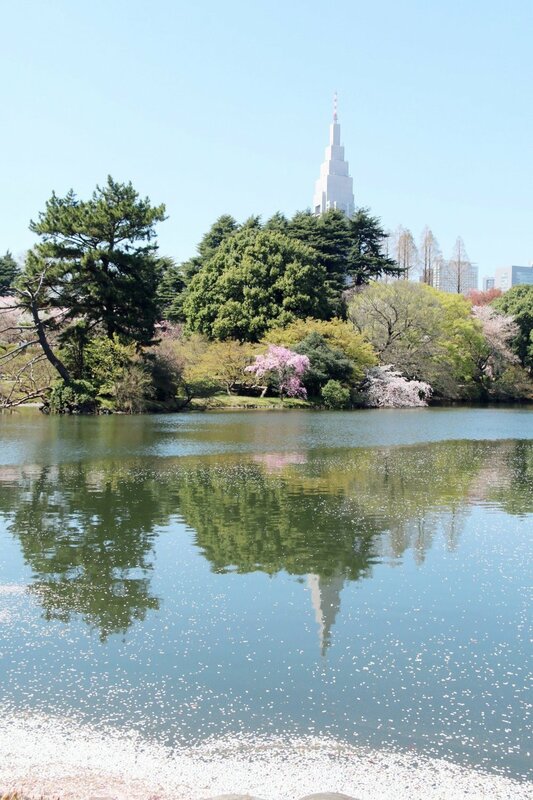 The light pink and white blossoms put the city into a soft light. A nice contrast to the concrete buildings and futuristic landmarks. I was lucky enough to spend a few days in the city during full bloom, and found some popular spots to enjoy them. Gyoen Park was walkable from my place, so it became my first contact with the cherry blossom festivities. It happened to be on a weekend, so I was not the only one interested in witnessing the spectacle here. There is an entrance and it costs a small fee (~2€), so there is a line and bag control - it is not allowed to bring alcohol into the park. Most people brought a blanket and food for a picknick, and I stocked up on treats at a corner store, too. The river (I'd call it a canal) is surrounded by cherry trees, and on the streets next to it is where the party is at. 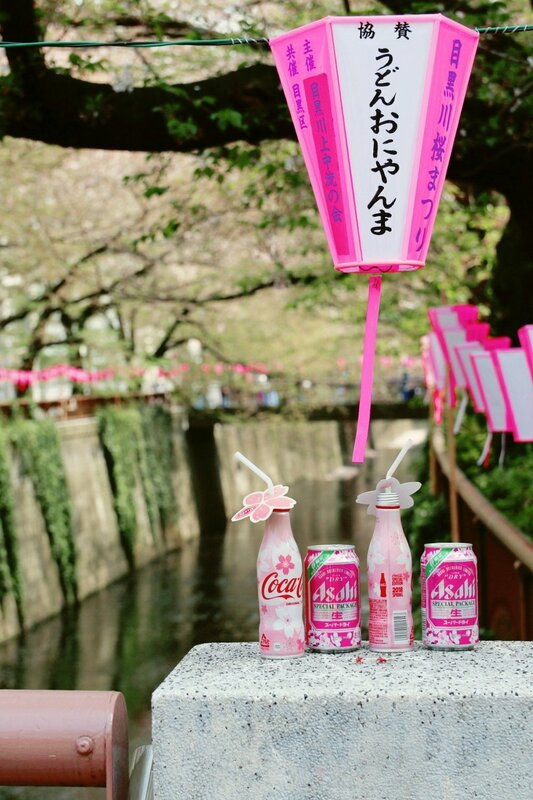 There are food stalls, DJs, restaurants... this is where you go to be among people and put on a cute dress to pose with cherry blossom background on one of the bridges. 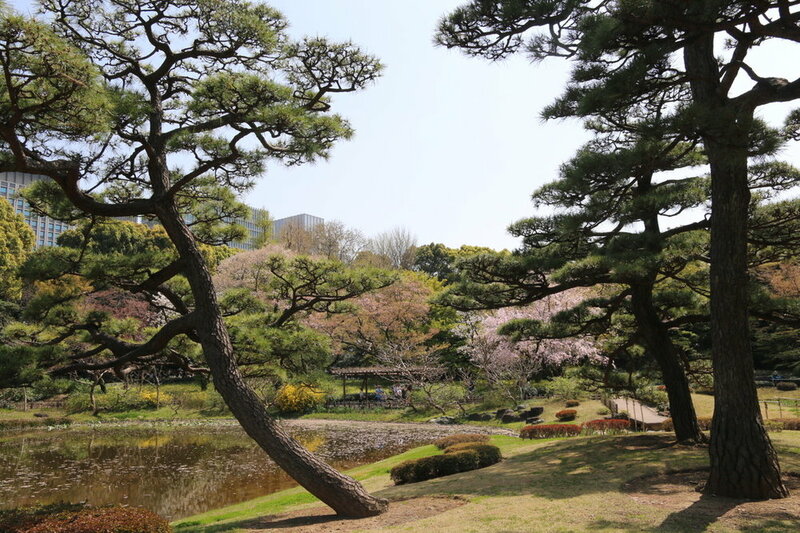 The Park around the Imperial Family's redidence is another beautiful garden. It has koi ponds, bridges, japanes gardens, and of course, cherry trees. Yoyogoi park is a huge park in the center of the city, right next to the lively neighborhood of Shibuya. 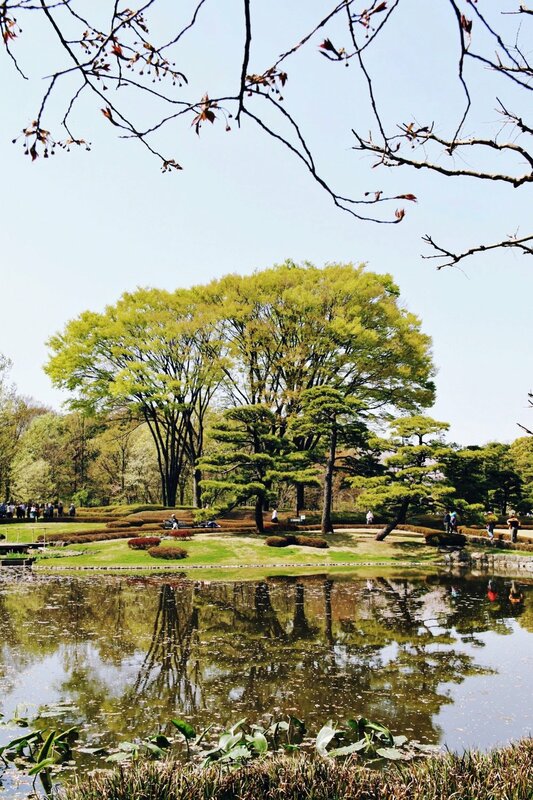 It has the popular Meiji Shrine, a pond, and lots of space for picknicks and people watching. 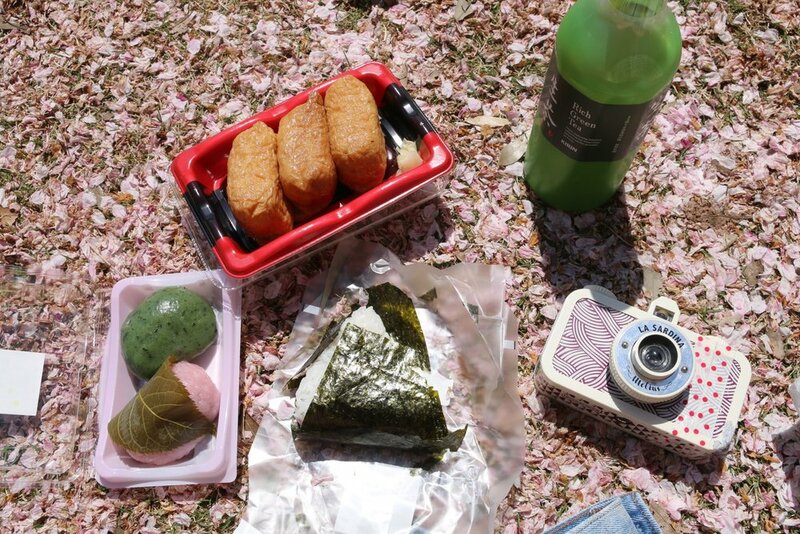 If you are into that, you should go to Yoyogi Park on a sunday: this is where the Tokyo teens (and others) dress up kawaii and cosplay, and walk around in Harajuku or have picknicks in the park. It can get really crowded, especially around Harajuku Station (every been in a cramped space where everyone was still respectful and trying to keeping a distance? It can be seen here!) , so I can recommend not using the station on sundays. 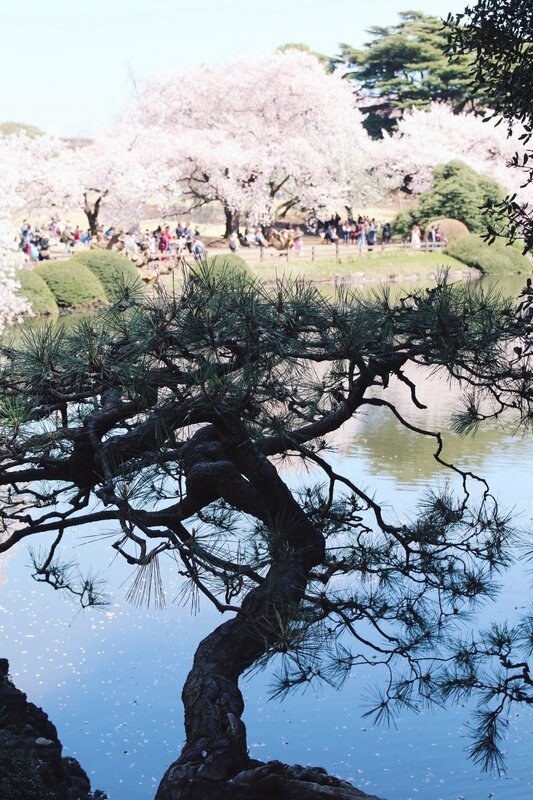 There are so many other Sakura spots all over the city, mostly parks, but of course, I could not tour all of them. 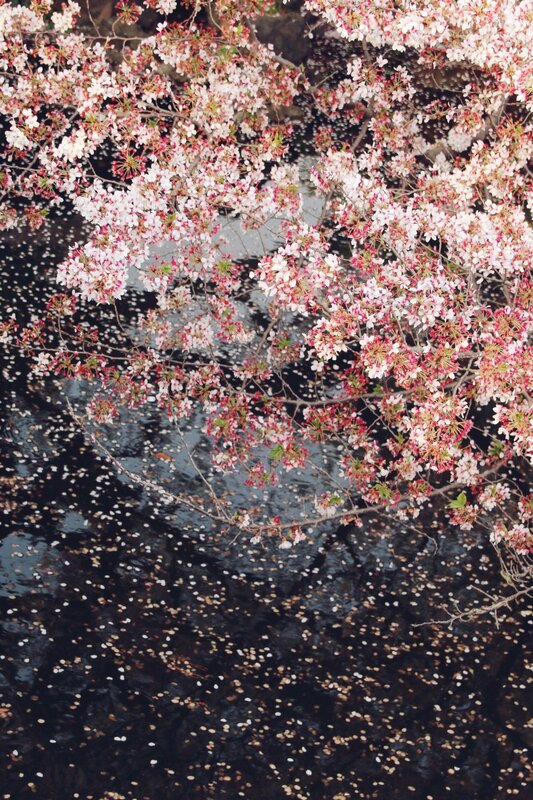 I loved that whenever you open Google Maps during Sakura, it shows the cherry blossom spots marked with a pink blossom. Japan during cherry blossom season is crazy! But in my opinion, it is totally worth going the extra mile and the higher costs of hotels, rooms... and the longer lines. Would and will do it again!